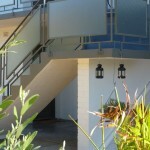 Luxury Short Stay Apartment in Inglewood. 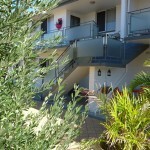 One of 8 Superb 2 bedroom apartments providing COMFORT, LOCATION and STYLE at rates that are unbeatable value for money. 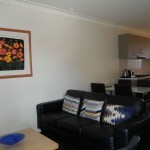 This apartment is located just off bustling Beaufort St, the cafe and coffee center of Perth. 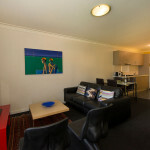 Only minutes from the city by bus or car, this apartment will be a great central location for your stay in Perth. This Luxury Short Stay Apartment in Inglewood comes with its own private laundry, reverse cycle airconditioning and queen bed in the master bedroom and two single beds in the second bedroom. Extra bedding can be provided on request. Our beds are of the highest quality and comfort. Vibrant original artwork and individually selected furniture create an eclectic and exciting ambiance and a home that you will be happy to come back to each day of your Perth stay. 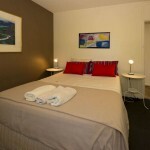 many of our guests visit us over and over again, due to the fact that our accommodation in Perth and surrounding suburbs is by far the best value.